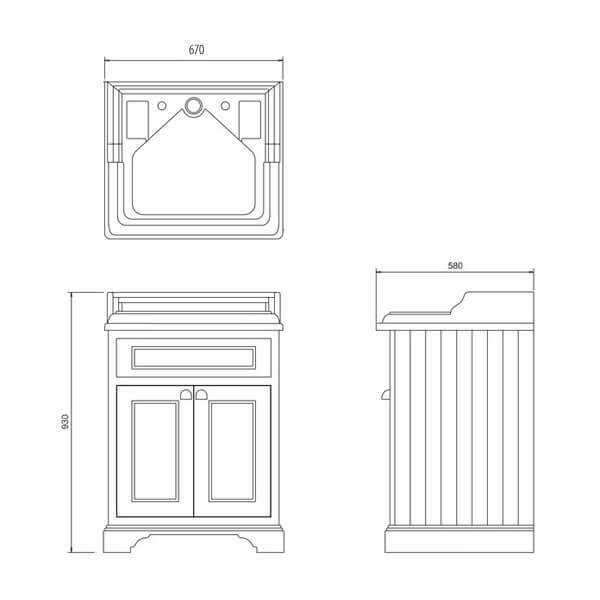 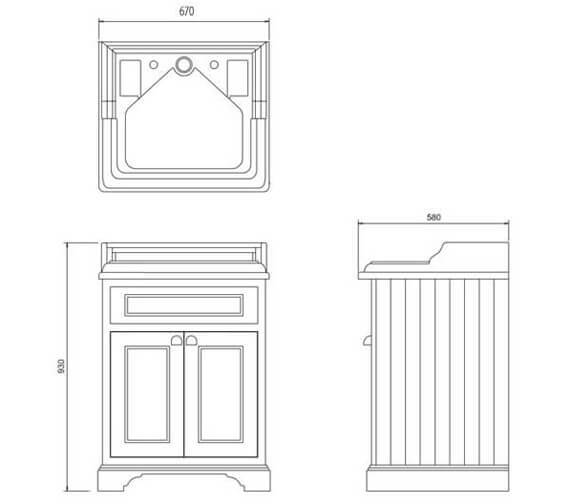 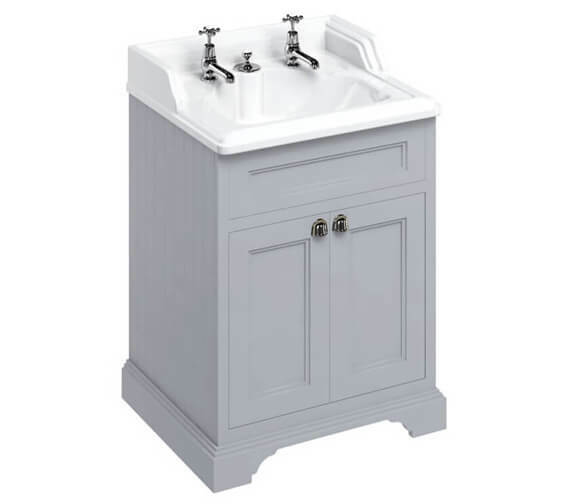 The Burlington Freestanding Double Door Unit with Classic Invisible Overflow Basin adds a contemporary twist to a classic design with its unique combination of vanity unit and personal grooming space. 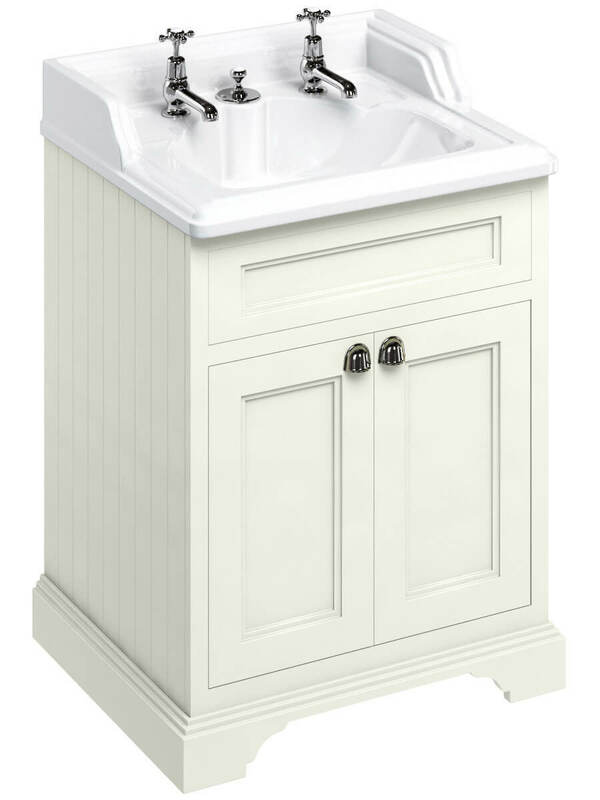 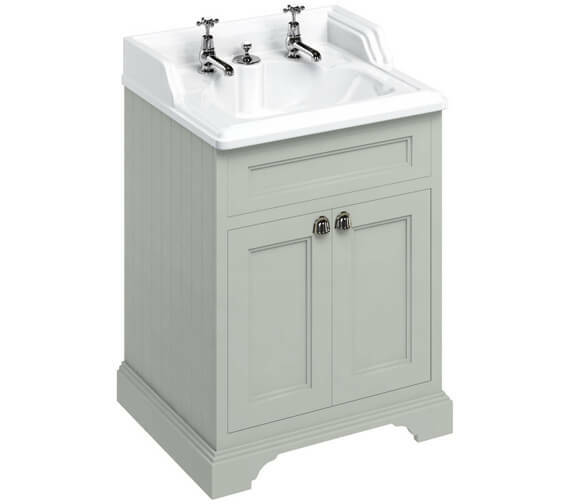 Fitted with a counter-top basin and under-sink storage, this unit seamlessly blends style with utility. The cupboard features adjustable shelves that offer plenty of storage space for towels, hygiene products, and other items. 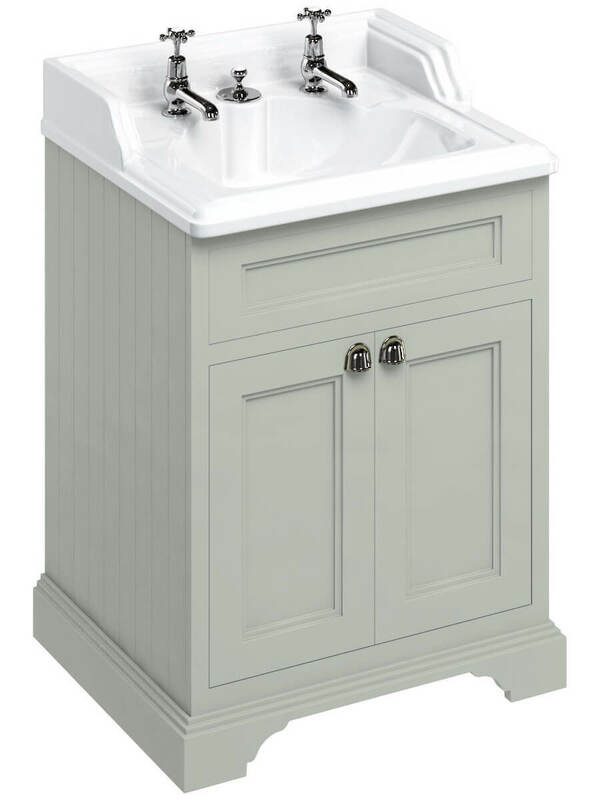 The twin doors with soft closing mechanism and embellished by chrome plated handles allow quiet operation with added comfort. 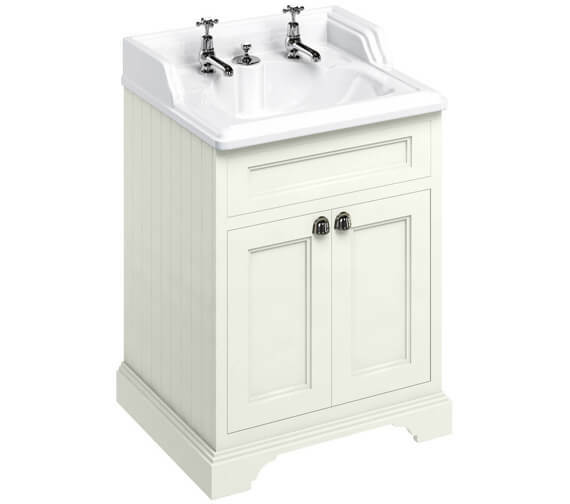 The top-mounted basin with vintage design is made of vitreous china and covered in a crisp white finish to perfectly complement the vanity. 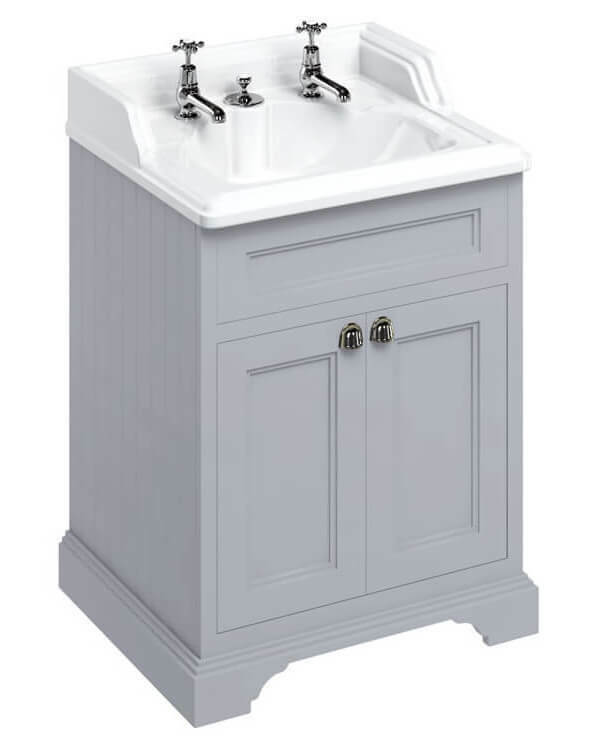 It comes with one tap hole to give the user flexibility in fitting a tap or mixer of their choosing.